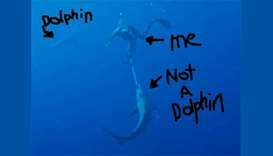 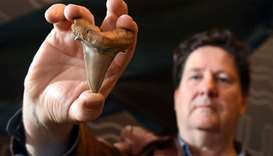 Clarke Gayford, the partner of Prime Minister Jacinda Ardern, said the dolphin was content to watch the underwater drama unfold from a distance. 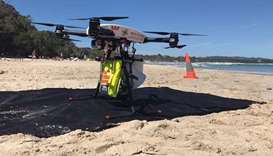 A pair of Australian swimmers on Thursday became the first people to be rescued in the ocean by a drone when the aerial lifesaver dropped an safety device to distressed teens caught in rough seas. 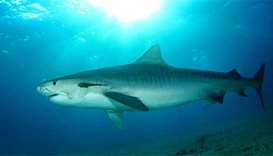 A 49-year-old US female tourist was killed by a tiger shark this week while diving off a Costa Rican island in the Pacific Ocean, the government and local media reported. 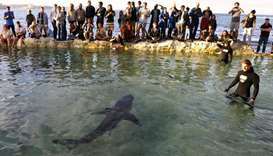 A baby great white shark that stunned onlookers when it washed up on a popular Sydney beach was released back into the ocean Tuesday after spending the night in an aquarium. 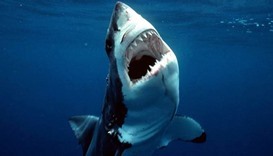 An elderly Australian fisherman has lived to tell the tale after a great white shark leapt into his boat, surviving with only an injured arm after he was sent flying by the thrashing beast. 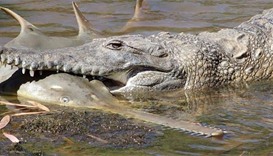 The sharpened teeth on the saw-like snout of the critically endangered Australian sawfish is proving little defence against its deadliest underwater predators, the crocodile and shark. 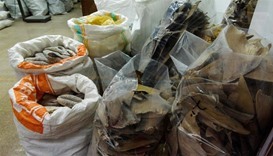 Hong Kong authorities have seized more than a tonne of shark fins as activists warn traders are sneaking the sought-after delicacy into the city by mislabelling shipments to get around bans by major transporters. 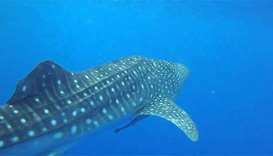 A shark badly mauled a man spearfishing Saturday in northern Queensland leaving him in serious condition after friends saved his life by pulling him aboard their boat, the ambulance service said. 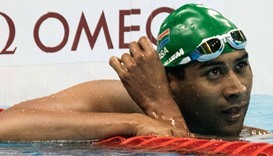 When South African Achmat Hassiem competes in the Paralympic swimming pool he motivates himself by imagining a shark just behind -- the shark that bit off half his leg a decade ago.